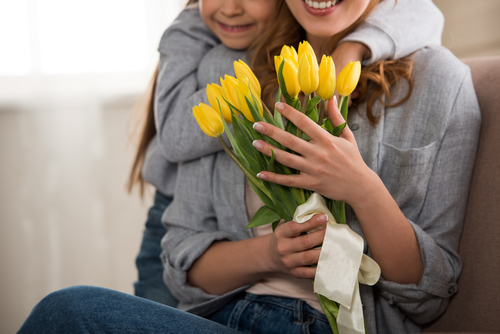 If Mother’s Day snuck up on you, you’re not alone! Finding the perfect gift for your mom, wife, daughter or the other ladies in your life, especially in a pinch, can be a challenge. Instead of wrapping up a gift she may or may not need or even want, give her something every woman can enjoy: the gift of time! Muffins: Contrary to its name, there’s lots more than just muffins to enjoy at this popular breakfast and lunch spot, about four miles from your Canvas Valley Forge apartment. The mom-and-pop-type diner offers a laidback atmosphere, perfect for a casual, relaxed start to your Mother’s Day celebration. Big portions and low prices make this a favorite with locals. Black Cat Café: About 3.5 miles from your Canvas Valley Forge apartment, Black Cat Café serves breakfast and lunch until 2 p.m.—so even if you get a late start to your Sunday, you can still enjoy your eggs and coffee! Apart from breakfast staples, the café also serves an array of soups, salads and sandwiches. The best part? All proceeds from the restaurant go to support a local animal-rescue organization. Davio’s Galleria: If you’re on the go on Mother’s Day and want to grab a quick bite before you set off for a day of shopping or sightseeing, swing by Davio’s Galleria, just one block from your Canvas Valley Forge apartment. With a range of breakfast favorites and baked goods, as well as pizzas and paninis, Davio’s is simple and quick, yet delicious.